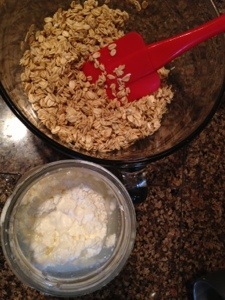 Whisking together the flours. This is the only picture I had for this, although I don't rise bread in a metal bowl. This is my dough which has raised on the counter for 2 hours. 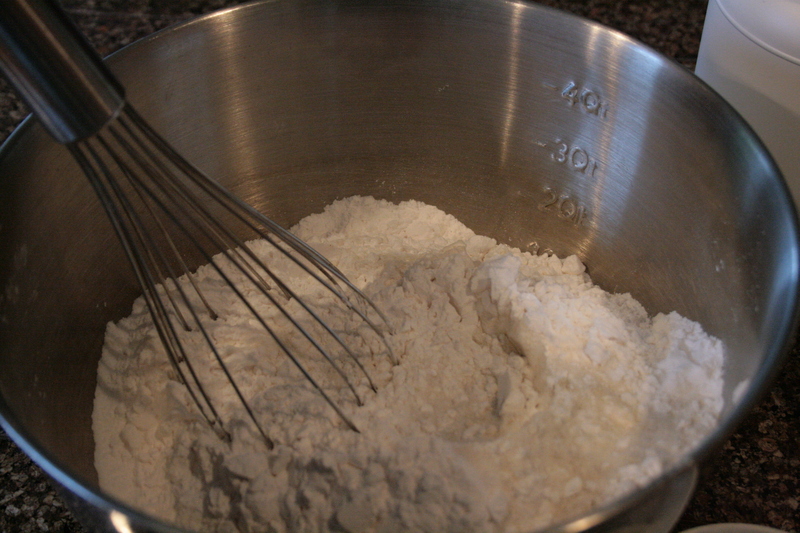 Continue to stir with wooden spoon until all flour is combined. 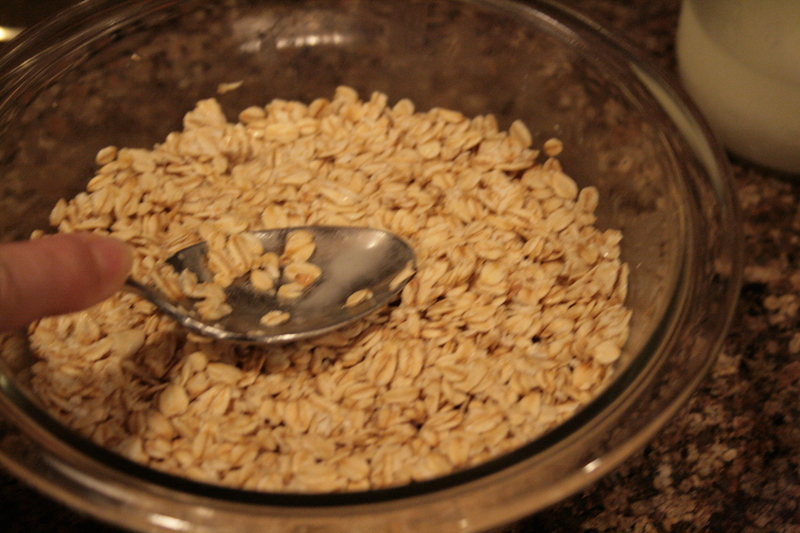 Cover, and set on counter for 2 hours, or until dough has risen. 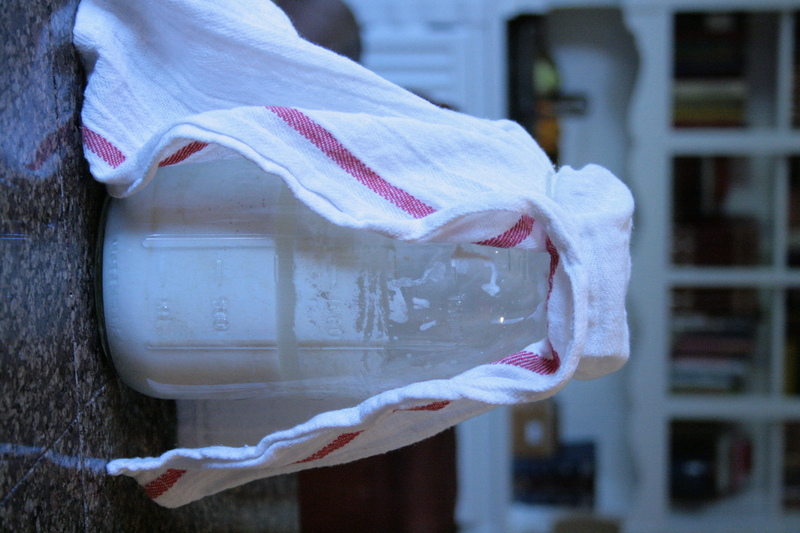 Cover tightly and store in refrigerator for up to 1 week. Dough is ready immediately, or develops a better flavor, great digestibility, and fewer carbohydrates with a longer “soak” during several days in the refrigerator. 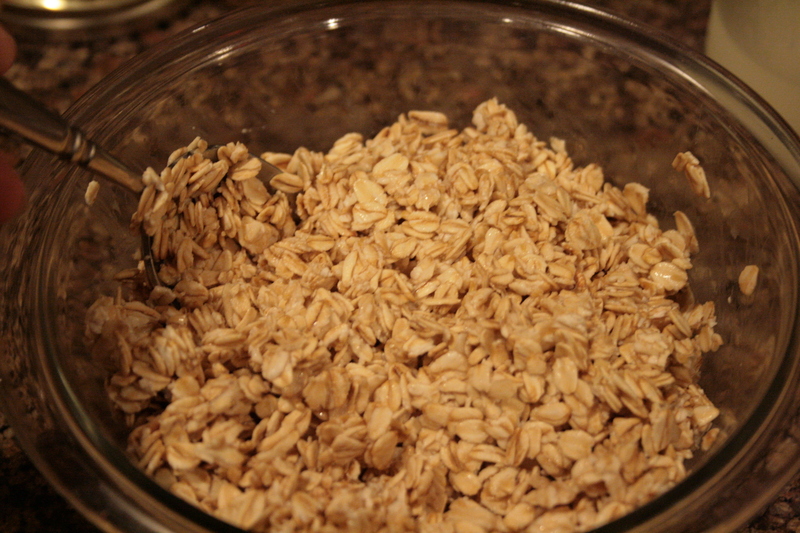 You will not knead the dough when removing it from the fridge, just carefully break off the amount of dough for baking. 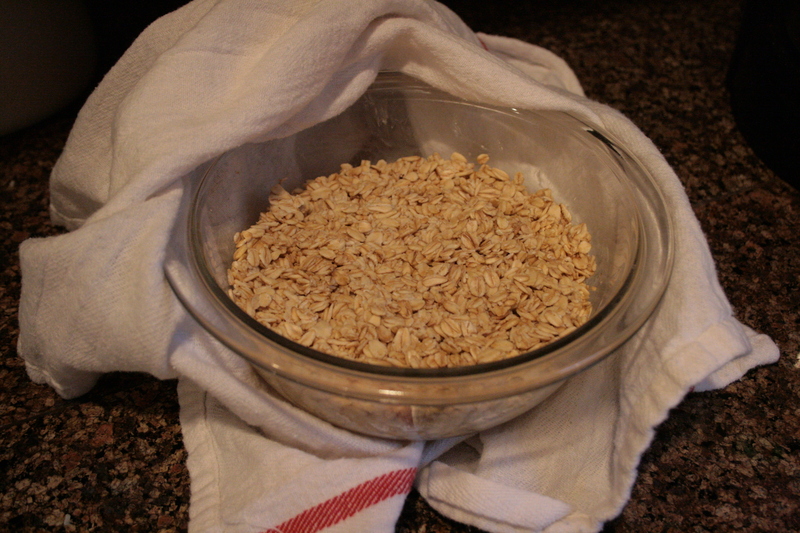 Bread: allow to rest baking stone/bread pan for 1 hour, covered, then bake approx. 1 hour in 350 degree oven, or until the internal temperature is 200-210 degrees. Directions for crusty bread are given on the Artisan Bread In Five site. Cool completely before slicing. Yields 2 medium loaves. Buns: Let rest 1 hour on baking pan/stone, then bake at 325 for about 35 minutes. Cool completely before slicing. Yields about 12 hamburger buns. 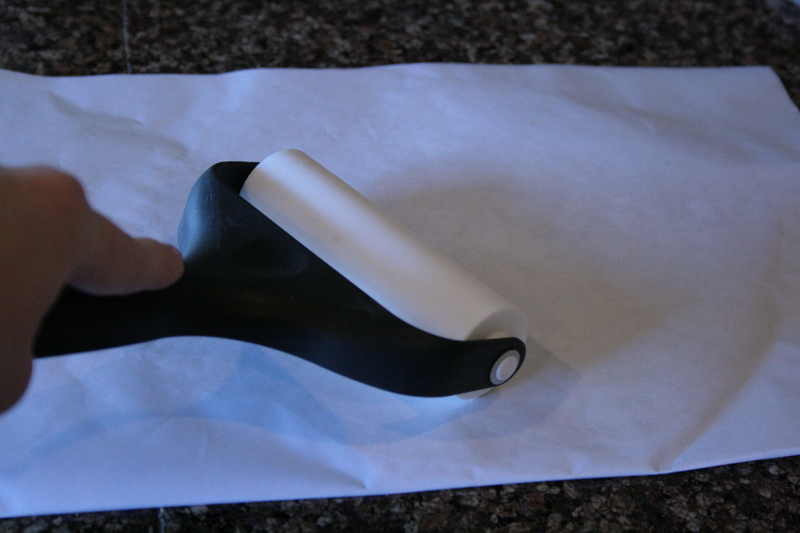 Rolling a tortilla between two sheets of freezer paper. a pizza pan, then place in freezer, for up to a month. 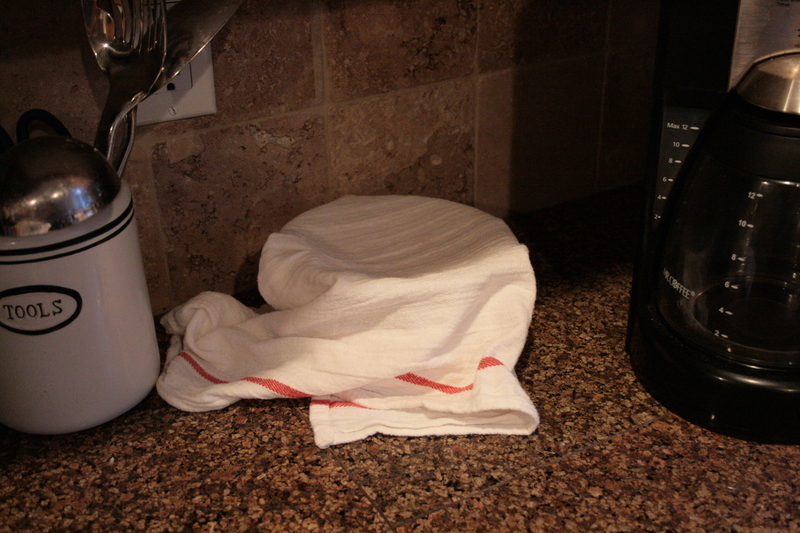 When frozen, the crust can be removed, the paper stripped from it and immediately placed on a pizza pan or stone. It will then melt and be ready to bake by the time you have toppings on it. (I preheat my stone to 500, and bake the pizza for 10 minutes.) Yields 4 pizzas. Flat Bread: using the freezer paper method above, roll the dough to the size of a tortilla, then fry on medium in a cast iron skillet with a Tb. of butter for each side. Yum! 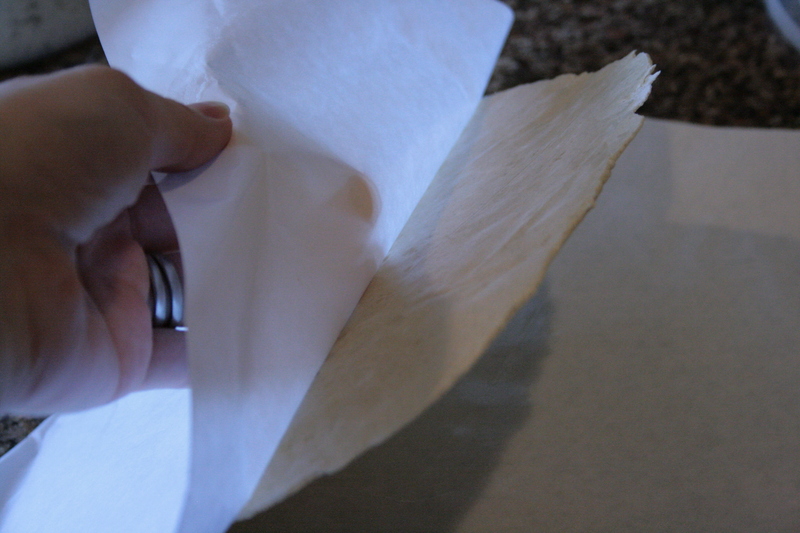 Peeling the paper from a frozen tortilla; ready to cook on the stove top. 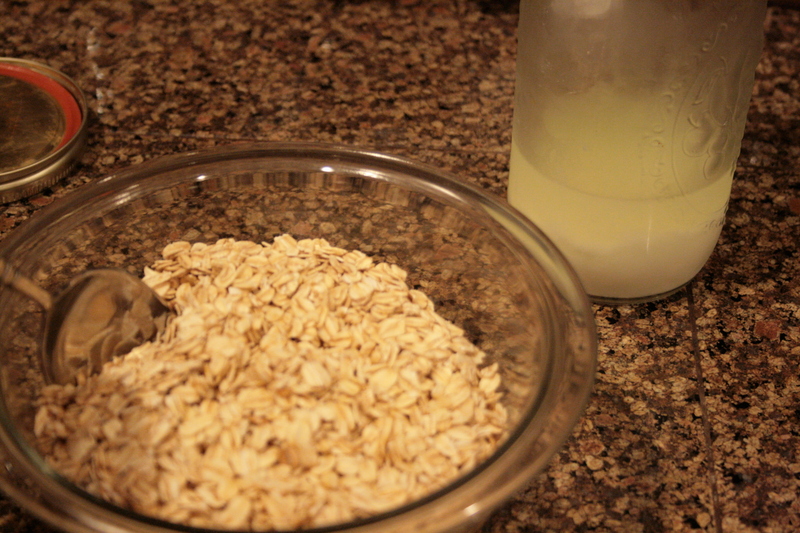 Tortillas: Omit yeast from recipe; I also reduce eggs to 1, but it works with 4 as well. 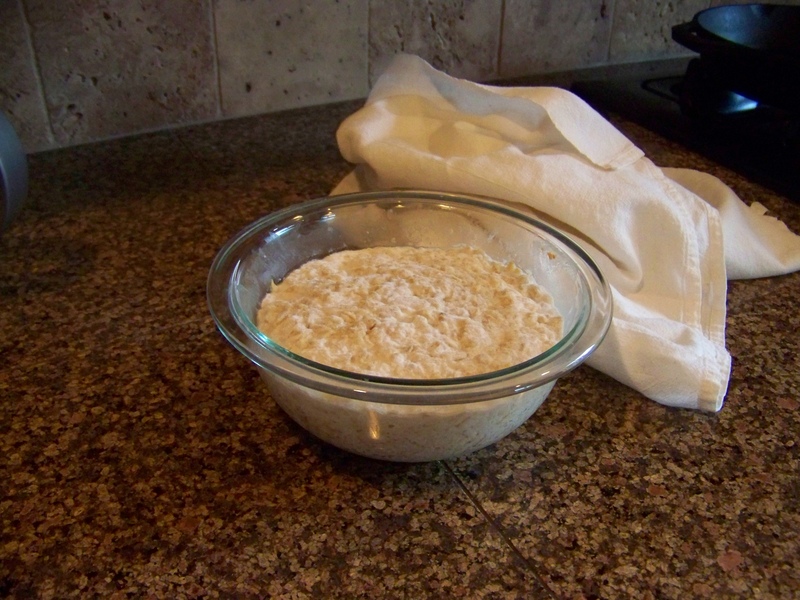 Place the amount of a small fist of dough on freezer paper, cover with freezer paper, and roll to a round tortilla, just as in the method above for pizza crust. I keep stacks of these in the freezer. Heat cast iron griddle or skillet to medium heat, then remove tortilla from freezer and paper, cook without oil for about 2 minutes, until you can see the underside has cooked. Flip to cook other side. These are delicious and flexible! Yeild 18-20 tortillas. 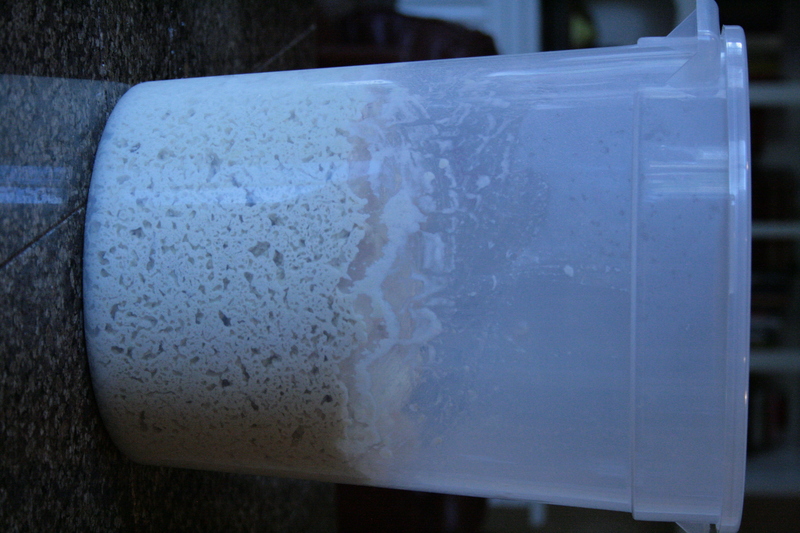 My sourdough starter, developing on the countertop. Sourdough: I have recently been making this bread recipe with a GF brown rice sourdough culture which I purchased from culturesforhealth.com. 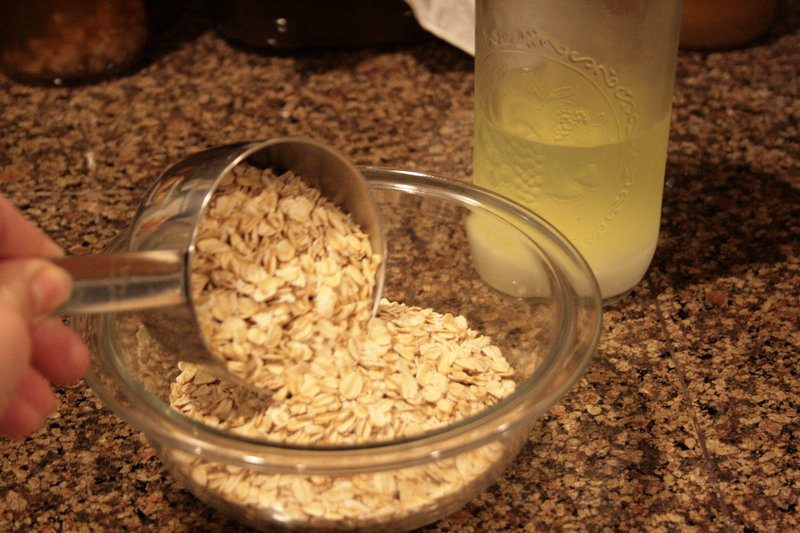 To do this, I omit the yeast, and substitute 1 cup of active sourdough starter (from a jar on my counter) for 1/2 cup of the brown rice flour, and 1/2 cup of the water. All the other instructions for bread apply.